Tug Victorious and John J. Carrick christening, June 4, 2010. The articulated tug Victorious was renamed Leo A. McArthur at a ceremony held in Windsor, ON, on Jan. 16, 2017. Leo A. McArthur was one of the two founding partners of the Miller-McAsphalt Group of Companies. 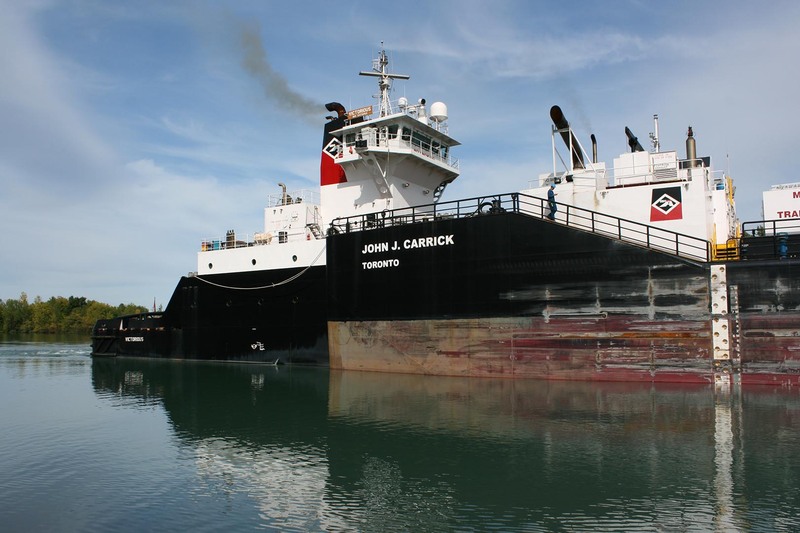 She is mated to the tank barge John J. Carrick. The tug was built in 2009 at Penglai Bohai shipyard in China. It is 35.7m long with a beam of 13.5m and a depth of 8.0m. She is powered by two MaK 2500 hp engines. The Leo A. McArthur/John J. Carrick are ice-strengthened and fully integrated with an Articouple mechanical linkage system. The articulated tug/barge (ATB) combination was specifically engineered and built for the transportation of asphalt and other high temperature black oil products. The barge can load a total capacity of 70,000bbls while requiring less than 6.7 meters of draft, making it one of the safest and most capable high heat ATBs in Canada. Leo A. McArthur and John J. Carrick founded McAsphalt Industries Limited in 1970, purchased Miller Paving in 1977 and grew the Miller-McAsphalt Group into one of Canada’s largest road construction and asphalt supply companies. John J. Carrick passed away in 2004 and Leo A. McArthur in 2016. 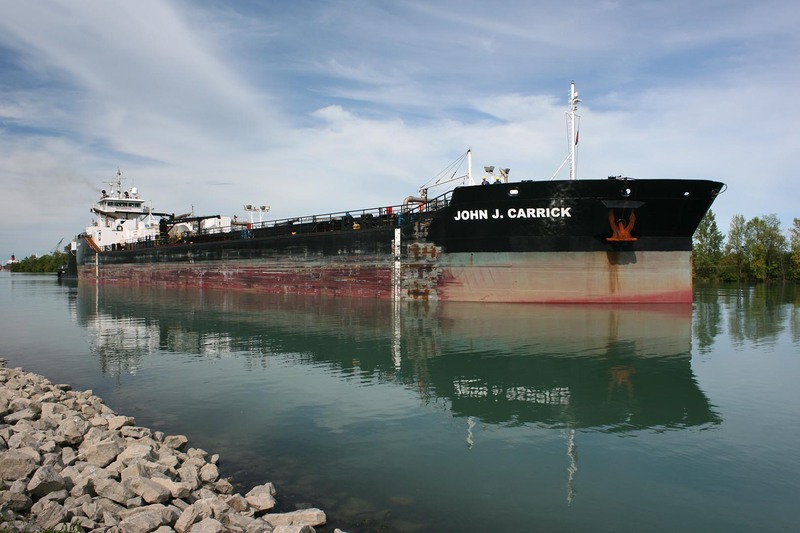 The first Victorious in the Welland Canal. Departing Halifax in ballast after unloading a cargo of asphalt. This is their first call in Canada, Sept. 11, 2009. Bound for Shelburne, Nova Scotia. Close up of the Victorious. Upbound at Iroquois Lock, Oct. 22, 2009. Passing through Glendale Bridge on the Welland Canal, July 11, 2010. Upbound on the Welland Canal below Lock 2, Oct. 19, 2010. 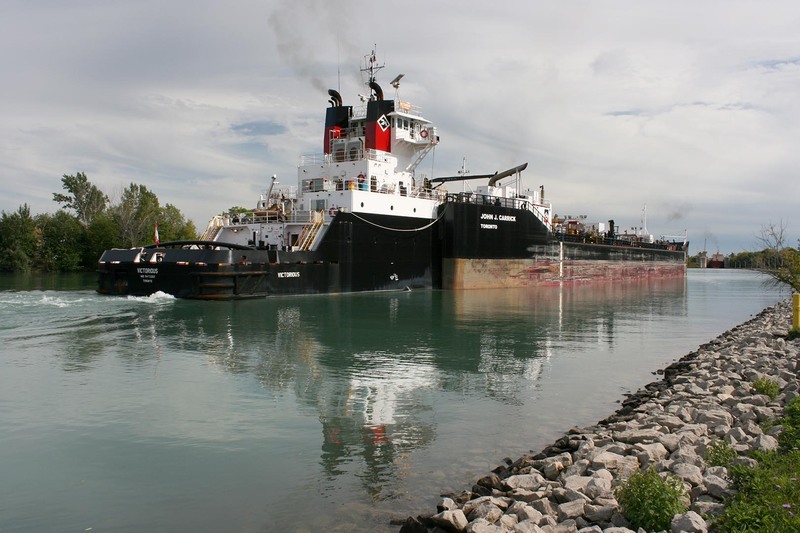 Passing through Port Colborne on their way to Lock 8, July 2, 2012.